Over the past several months, investors have thrown Chinese stocks in the garbage pile, and they haven’t once second guessed it. This is particularly true for Chinese tech stocks. The Invesco China Technology ETF (NYSE:CQQQ) peaked in January. Since then, it has dropped more than 30%, indicative of what has been a broad and relentless selloff in Chinese stocks. But, this selloff could be coming to an end soon. After all, the long-term fundamentals underlying many of these big growth Chinese tech names still remain very strong. China’s consumer class continues to urbanize and digitize at a rapid rate, and the size of this class is unprecedented. Thus, the long-term implications of more widespread phone usage, e-shopping, digital advertising, traveling, so on and so forth, are quite large. But, the market has ignored those long-term growth fundamentals for almost all of 2018. Instead, the market has chosen to focus on a weak broader economic backdrop, which has been dragged down by escalating U.S. and China trade tensions. Those tensions are finally deescalating. Over the weekend, the two countries agreed to a 90-day trade truce that will allow for further discussions and negotiations. While this isn’t a resolution, it is a step toward resolution and a step toward Chinese stocks rebounding. With that in mind, here’s a list of seven Chinese stocks, which, once all this trade noise clears up, should rebound in a big way. The Fundamentals: China’s most well-known and biggest tech company, Alibaba (NYSE:BABA) is supported by big growth fundamentals that imply a healthy long-term growth trajectory for this company and stock. Last quarter, core commerce revenues grew by over 50% yet again, while cloud computing revenues rose 90%. Margins took a hit, but that compression is all tied to growth-related investments and will inevitably phase out over time. Thus, in the big picture, the fundamentals here remain strong, supported by the continued urbanization and digitization of China’s economy. The Valuation: Following the recent dip in BABA stock, this stock now trades at just 24X forward earnings. That is low both for this stock and relative to the company’s 50%-plus revenue growth rates. The Technicals: BABA stock seems to have bottomed in late November around $130. It has been on an uptrend ever since, and should remain on this uptrend so long as trade war concerns remain muted. 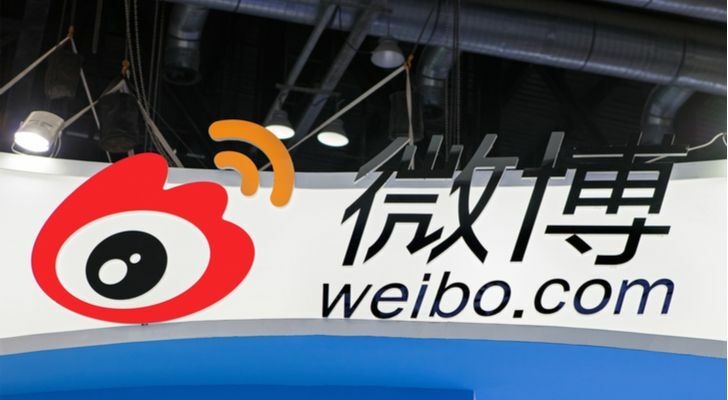 The Fundamentals: Often considered the Twiter (NYSE:TWTR) of China, Chinese social communication app Weibo (NASDAQ:WB) is supported by healthy long-term growth fundamentals. The platform now has nearly 450 million users, making it one of the largest social media platforms in the world. Weibo is also adding users at a fairly consistent 70 million new users per year rate. Revenue growth is running in excess of 40%. Margins are stable. And, those numbers will only get better as China’s digital advertising landscape matures. Overall, there’s a lot to like here. The Valuation: Perhaps the best thing to like about WB stock is the valuation. This stock trades at just 20X forward earnings. That is an anemic valuation for a 40%-plus revenue growth company with a rapidly growing user base and stable margins. The Technicals: WB stock has been in a huge downtrend for the past several months. But, the stock has shown strong support in the mid-$50’s, and it is now rallying in a big way off that level. This rally should persist so long as U.S. and China trade relations improve. 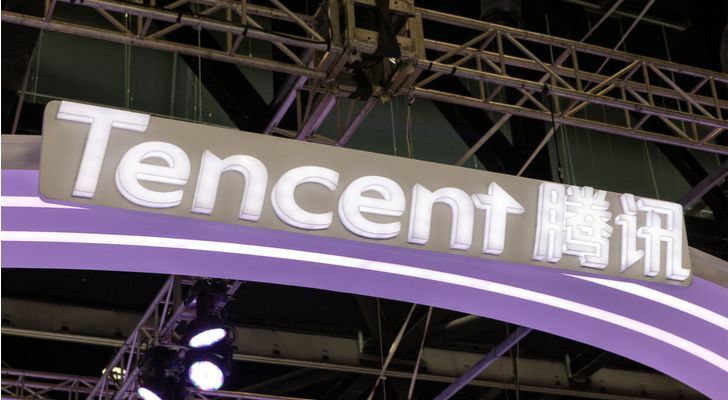 The Fundamentals: Chinese internet giant Tencent (OTCMKTS:TCEHY) is supported by robust long-term growth fundamentals that are perhaps second to only Alibaba. From head to toe, Tencent is the Chinese internet. The company operates the country’s largest social media platforms (one of which is the only billion user platform in China). Tencent is also the gaming giant in China, and owns China’s biggest digital video, news, music and literature platforms. Tencent also operates China’s largest mobile payment platform and the country’s largest mobile security network. Thus, Tencent is the Chinese internet. So long as internet usage in China picks up (which it inevitably will), Tencent will grow at a healthy rate. The Valuation: The valuation on TCEHY stock is fairly attractive at just over 30X this year’s earnings estimate. But, margins have been a major headwind for this company, and until that headwind clears up, valuation will be capped. The Technicals: Despite a long-term downtrend, TCEHY stock has found solid support over the past few months in the lower $30’s. Now, the stock is bouncing strongly off those levels, and rallying to levels not seen since late September. This uptrend looks strong, and should last so long as broad China economic sentiment improves. 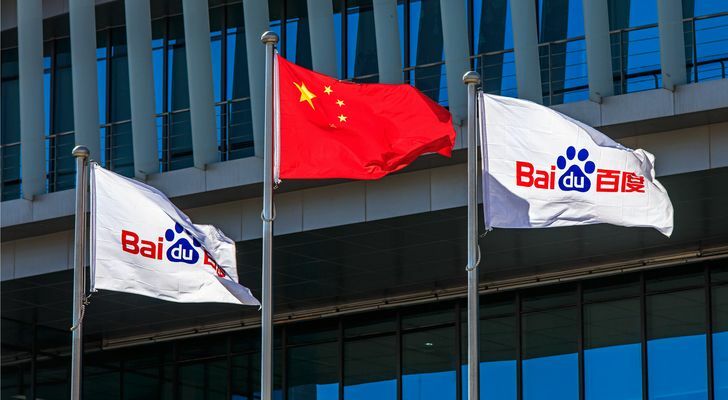 The Fundamentals: Chinese internet search giant Baidu (NASDAQ:BIDU) is, for all intents and purposes, the Google (NASDAQ:GOOG) of China. This positioning guarantees Baidu healthy long-term growth potential so long as internet usage and digital advertising in China accelerate higher, two things, which seem certain at this point in time. Moreover, Baidu has high-growth potential through its cloud, IoT and AI businesses, the sum of which are still in the early stages of potentially explosive growth trajectories. The Valuation: BIDU stock is pretty cheap at under 20X forward earnings for what was 27% revenue growth last quarter. Falling margins are behind the low valuation. But, this is a near-term phenomena. Huge losses at iQiyi (NASDAQ:IQ) and big investments into the app ecosystem are dragging on margins. Eventually, those margin headwinds will fade out. Once they do, today’s valuation will seem anemic. The Technicals: Much like other Chinese stocks, BIDU has been on a big downtrend for the past several months. But, this stock has shown strong support multiple times around the $180 level. Today, the stock is comfortably above that level, implying that a bottom has been put in and that this stock is ready to start heading higher again. 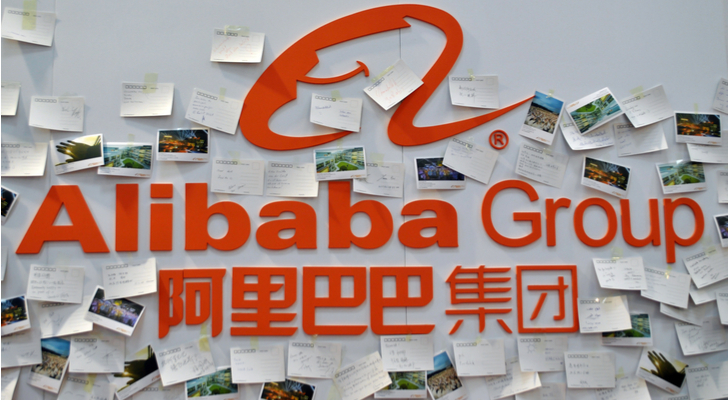 The Fundamentals: Alibaba isn’t the only e-commerce player in the Chinese market. The other big player here is JD (NASDAQ:JD). Much like Alibaba, JD is a big-growth e-commerce company with secular growth tailwinds through the urbanization and digitization of China’s consumer economy. Revenue growth is cooling at JD because of slower economic growth (25% revenue growth last quarter versus 40% growth in the year-ago quarter). Margins are also dropping. But, despite near-term choppiness, the fundamentals of this company, through continued robust e-commerce growth in China, remain favorable. The Valuation: JD stock trades at just 0.5X trailing sales. That is a really low sales multiple. It strongly implies that both revenue growth will continue to slow and that margins will continue to compress. But, if China’s economy improves from here due to de-escalating trade war tensions, JD’s revenue growth will re-accelerate and margins will stabilize, thus making the current valuation seem too low. The Technicals: JD stock has been one of the biggest losers in the Chinese stock rout. But, the stock is bouncing nicely off of the critical $20 level amid improving macroeconomic conditions, a dynamic that implies that this stock may have found a bottom. The Fundamentals: Perhaps the most underrated Chinese tech stock is China’s go-to online travel site, Ctrip (NASDAQ:CTRP). While Alibaba, JD and Baidu get all the market attention, Ctrip is a company that is supported by just as strong, if not stronger, underlying fundamentals. Often called the Expedia (NASDAQ:EXPE) of China, Ctrip has been a big winner over the past several years as China’s rising consumer class has finally embraced air travel. Although this China air travel growth narrative has hit a few road-bumps in 2018 due to slowing China economic growth, the long-term outlook for Ctrip remains favorable. Just 7% of Chinese citizens have a passport, versus 40% in America. Because of this discrepancy, the China Outbound Tourism Research Institute (COTRI) predicts that Chinese overseas trips will grow from 145 million last year, to over 400 million by 2030. The Valuation: CTRP stock is still expensive relative to its peers, trading at nearly 30 forward earnings. But, that valuation is warranted given the China air travel industry’s strong long-term fundamentals, and the lack of competition that Ctrip has in that burgeoning industry. The Technicals: From June to November, CTRP stock dropped from $50 to $25. But, after a big post-earnings collapse in early November, CTRP stock has rebounded strongly, implying that those early November lows may have been a bottom for the stock. The Fundamentals: Another underrated gem in the Chinese tech stock group is video streaming platform Huya (NASDAQ:HUYA). Much like Ctrip, this company doesn’t get much mainstream media attention. But, also like Ctrip, Huya is supported by exceptionally favorable long-term growth fundamentals. 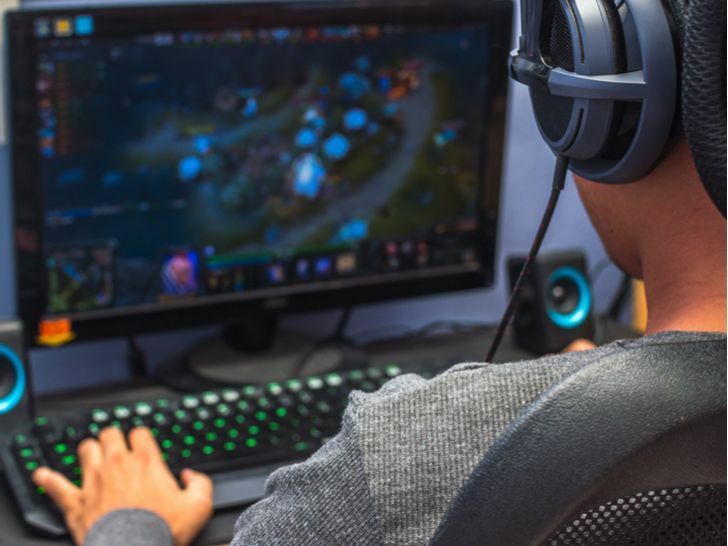 Across the globe, live streaming video game viewership numbers are skyrocketing higher as consumers look for alternative entertainment options. The biggest market for video game streaming? China, with $32.2 billion in gaming revenues in 2017. The fastest growing market? China, with a projected 13% compounded annual revenue growth rate over the next five years. The biggest player in the Chinese market? Huya, with nearly 50% market share. Consequently, Huya has huge long-term growth prospects through the mainstream proliferation of esports and live video game streaming in China. The Valuation: HUYA stock is expensive. The stock trades at over 6X trailing sales. But, Huya is in the category of streaming. Netflix (NASDAQ:NFLX) is the leader in this category, and that stock trades at nearly 9X trailing sales. Thus, if Huya realizes its long-term potential as a major streaming player on the video game side, today’s valuation will ultimately prove to be exceptionally conservative. The Technicals: Unlike other Chinese stocks on this list, HUYA stock hasn’t found a bottom yet. This stock continues to drop and act like a falling knife. Thus, there isn’t really anything here for technical and/or momentum investors to hang their hat on, and that could prove to be a headwind for this stock in the near term. As of this writing, Luke Lango was long BABA, TWTR, WB, BIDU, GOOG, CTRP and NFLX. Article printed from InvestorPlace Media, https://investorplace.com/2018/12/7-beaten-down-chinese-stocks-ready-to-rebound/.